McGavin’s Farm Equipment of Walton will soon be merging with Robert’s Farm Equipment, which has locations in Chesley, Lucknow and Mount Forest. The companies announced the merger last week, emphasizing the fact that this was two family-owned companies coming together in a partnership, and not an acquisition. McGavin said that Robert’s has very similar values to his family’s company. Robert’s is run by two brothers who feel passionate about their communities and the service they provide to customers. 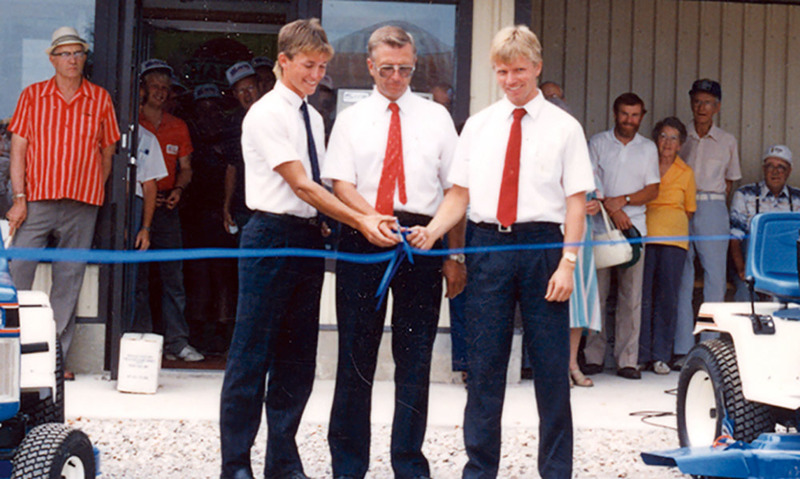 Robert’s also has a rich history, McGavin said, as the company recently celebrated its 50th anniversary, while McGavin’s is in its 83rd year of business. McGavin said that the families had worked together in the past, which led to the advertising hashtag that accompanied the merger: #bettertogether. So far, the move has been well received, McGavin said, with many understanding why this is happening. The merger will allow both companies to establish a larger geographic service area and provide the full lines of equipment the two companies individually provide across that entire area. The merger will be effective June 1, 2019. Watch The Citizen for more information on it closer to that date.